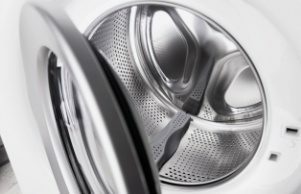 A lot of purchasing decisions come into play when considering a new appliance. Versatility, functionality and convenience are all appreciated, and ASKO oven quick cleaning programs are highly prized in Australian homes. Progressive ovens save the user time and money, while vastly improving cooking potential and culinary results. How to clean an oven quickly? Oven self-cleaning programs are appreciated by ASKO appliance users for lots of good reasons. The fully automated programs are a quantum leap from the old days, when scrubbing and scouring while on hands and knees was the norm. ASKO ovens contain dozens of modes and programs that are easily accessed by fingertip control on the user interface, making fully automated or oven-assisted cooking and cleaning a breeze. ASKO ovens include pyrolytic ovens, steam ovens, steam assist ovens and multifunctional ovens, all with unique and effective automated cleaning programs designed by a world-leading oven manufacturer. 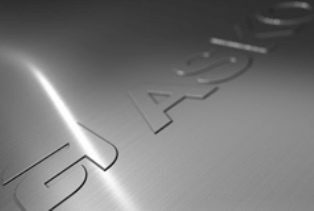 The ASKO oven range is vast, allowing users to tailor the cooking and dining experience their way, including quick cleaning using pyrolysis (extreme heat), or steam cleaning programs using targeted jets of piping hot steam. 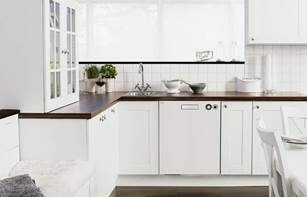 ASKO oven quick cleaning programs include Aqua-clean and descaling programs to make sure you have all angles covered. Are ASKO ovens easy to clean? If you prefer the ASKO steam cleaning feature, powerful jets of very hot steam perform self-cleaning duties. Food residue is soaked, softened and wiped away, allowing your oven to look great at all times. When should you consider a pyrolytic oven? 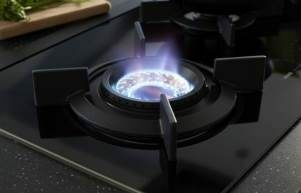 Every home owner or renovator should consider a pyrolytic oven, along with other ASKO appliance options. Pyrolytic ovens are constructed using heavy-duty, heat resistant stainless steel and single-piece, fully recyclable components. 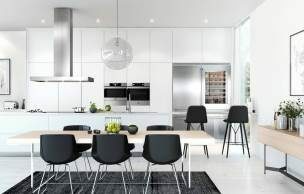 Don’t let the sleek lines and Scandinavian minimalism fool you, ASKO pyrolytic ovens are among the toughest on the market, making them ideal for fun-loving Australian families who appreciate home cooked meals and entertaining with friends. ASKO offers built-in and fully integrated pyrolytic oven designs, plus the option for the smooth curves of a black ceramic glass oven exterior for fully coordinated kitchen décor. ASKO smart appliances work in synchronised harmony, so if you are designing a new kitchen it’s also worth considering the benefits of combining ASKO cooktops, rangehoods, dishwashers, fusion wok burners and other stylish appliances to complete the picture. How long do pyrolytic ovens take to clean? The pyrolytic cleaning takes approximately 3.5 hours to complete, depending on the level of cleaning intensity. The self-cleaning cycle is selected by fingertip control and is fully automated, allowing you to take time out or socialise while the oven cleans itself. Incredible insulation properties keep the exterior safe to touch at all times. Pyrolytic ovens are healthy, time saving alternatives that take over cooking duties without sacrificing on quality. The self-cleaning cycle can be part of your regular oven maintenance, or used whenever the oven needs a thorough spruce up, without the need for harsh chemicals, toxic solvents or damaging detergents. What can you use to hand-clean ovens quickly? Hand cleaning the oven interior is simple with a pyrolytic oven. When the self-cleaning cycle is complete, and the oven has cooled, simply wipe away any residual ash with a soft cloth or brush. The oven exterior is just as easy to keep shiny and new. 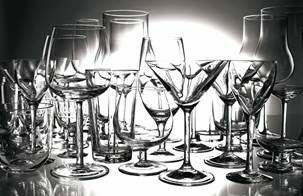 Wipe over the stainless steel or ceramic glass surface with a soft cloth and mild detergent, stand back, and enjoy the view. Quick oven cleaning really is that easy with ASKO.